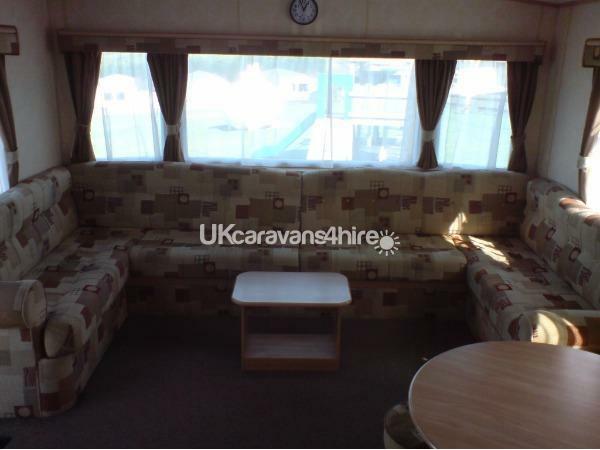 £50 non refundable deposit taken by cheque or bank transfer. Remainder of the balance to be paid 6 weeks before holiday start date, any cancellations after this date money is non refundable, discount for multiple bookings. 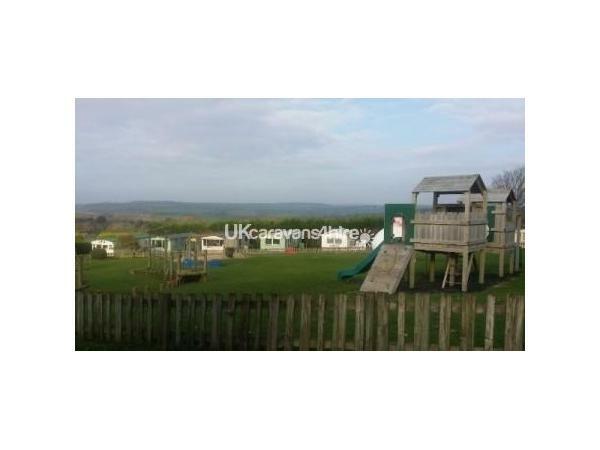 Our Caravan for hire is situated on Cedar Forest on the Parkdean White Acres Holiday Park, with beautiful country views and overlooking a large children's play area. 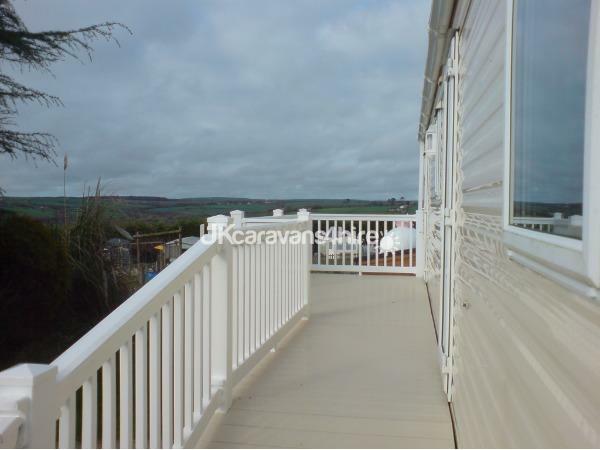 The caravan is close to the Holiday Park's main entrance and entertainment complex, which comprises Polkerris Bar, Pizzeria and Grill serving Costa Coffee with outdoor terrace, Lakeside Club with bar and live entertainment, kids and teen clubs, bowling alley, amusement arcade, swimming pool with toddler pool, gym, solarium, catch of the day fish 'n' chip shop, mini supermarket and bakery. 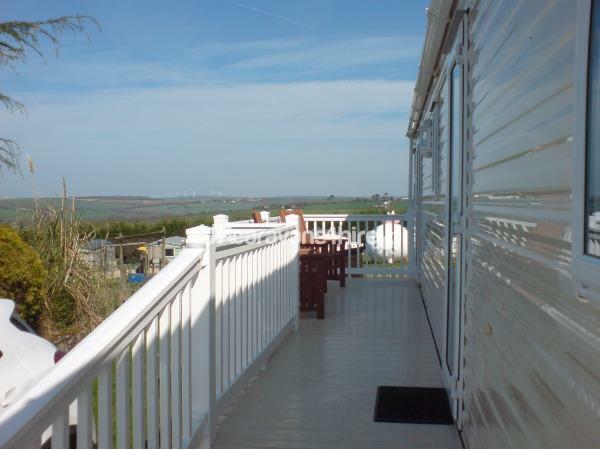 The caravan is double glazed and centrally heated and is very well equipped with all modern facilities. 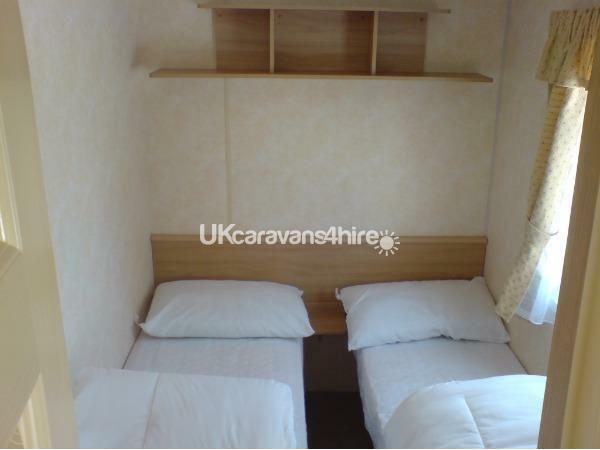 The Caravan provides accommodation for up to 8 people, there are 2 twin bedrooms and 1 double bedroom with a settee that makes into a double bed in the spacious lounge area. 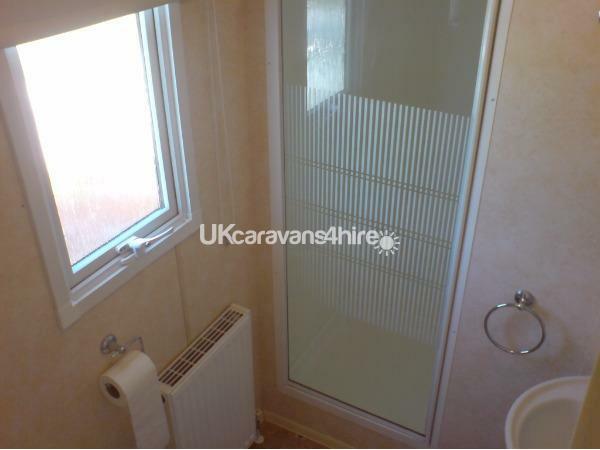 There is also a shower room with wc. There is 32" flat screen TV with freeview and a DVD Player in the lounge. 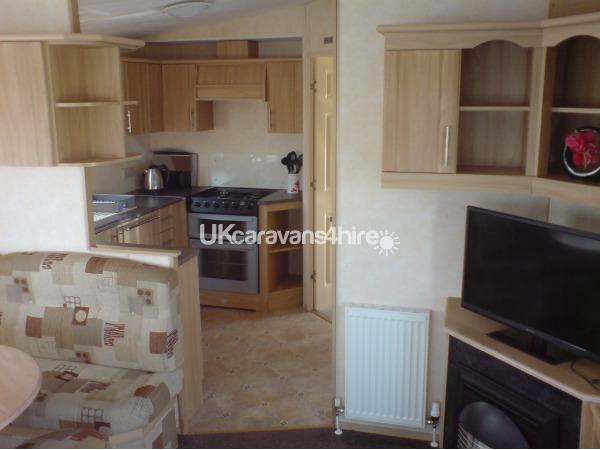 The kitchen is very well equipped including microwave/fridge-freezer/toaster/full oven. 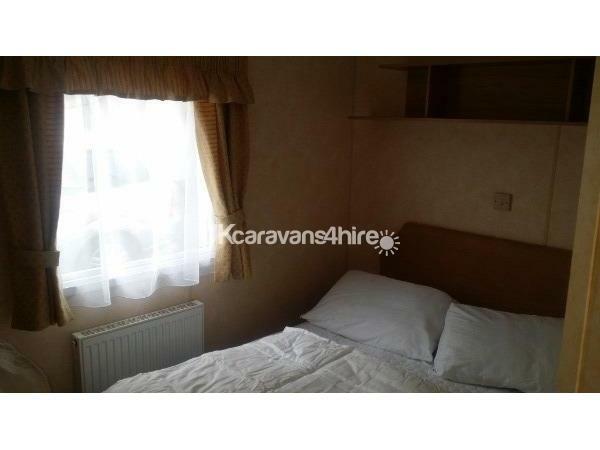 All the bedrooms have wardrobes. 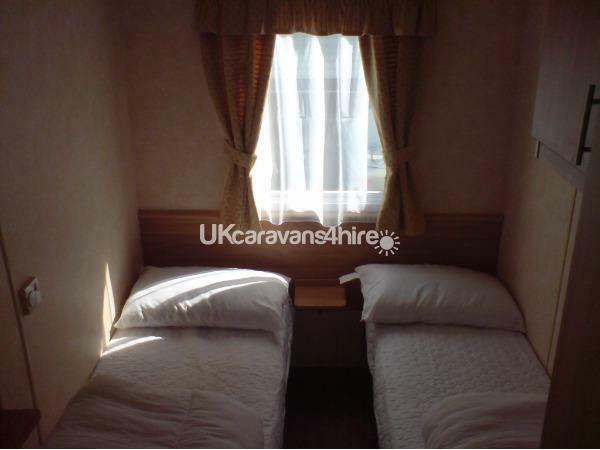 There is private car parking at the caravan for 1 car. 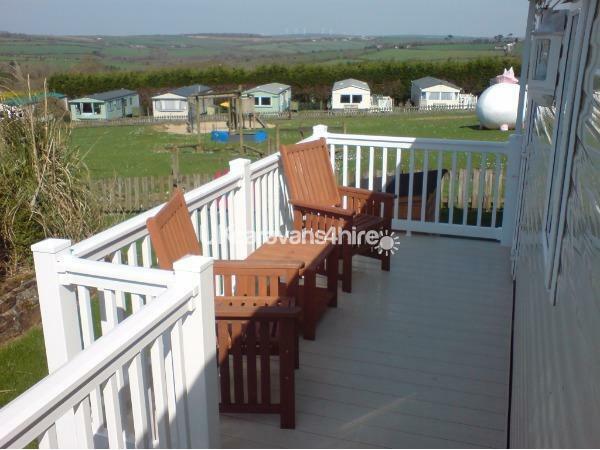 There is also a grassed area and an outside lockable fishing tackle locker.